Find My Workspace lists over 95% of the business centres market in Rotherham. Simply click Request Quote to check pricing for one office, or Add to Basket for multiple offices. This is a modern business centre offering excellent unfurnished open plan office space. 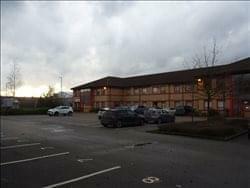 There are flexible options available within this centre which is a great office base for a range of businesses. The offices have double glazed aluminium windows, suspended ceilings, Cat II ceiling diffusers and carpeted floors. The offices also benefit from a kitchen along with WC’s and gas central heating. There is 24-hour access available at this centre and there is also parking available on the forecourt car park, so there is no worry about finding a space for you or your guests. Incentives are available.